Make a statement of yourself in this original and unique italian design that will flatter you in every moment of the day or night. The knee length dress that comes in a perfect cut of combination of two solid bright colours will define your daily style in a pure genuily italian look. 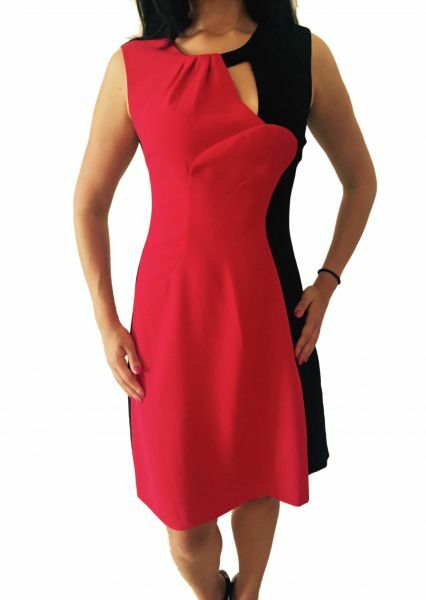 This dress is the perfect choice for evening and cocktails events.